Al Qaeda in the Islamic Maghreb’s (AQIM) Uqba bin Nafi Battalion has claimed credit for an attack that left four members of Tunisia’s security forces dead yesterday. 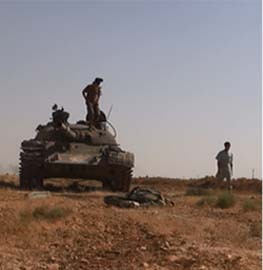 Approximately 20 fighters were responsible for the assault, according to Tunisian officials. 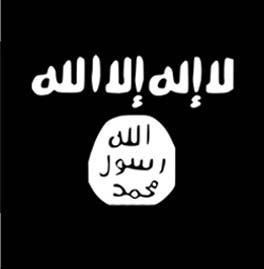 There were reports late last year that the AQIM-backed fighters had pledged allegiance to the Islamic State. 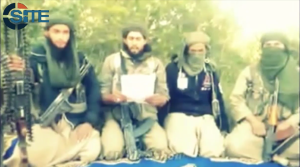 While some jihadists in Tunisia have joined Abu Bakr al Baghdadi’s “caliphate,” Uqba bin Nafi Battalion’s statement, along with other propaganda issued by the organization this year, leaves no doubt that the group remains loyal to al Qaeda. The claim of responsibility for the latest attack clearly advertises the battalion’s affiliation with AQIM at the top. The SITE Intelligence Group first obtained and translated the Uqba bin Nafi Battalion’s message, as well as a separate statement from AQIM praising the killings. Tunisian security forces targeted militants in a home in Oued Ellil, which is west of Tunis, in October of last year. Six people, including five women, were killed during the raid. Tunisia’s Interior Ministry spokesman, Mohamed Ali Aroui, claimed at the time that the women were planning to travel through Libya to Syria, where they allegedly intended to join other jihadists. The Tunisian government first exposed the connections between the Uqba bin Nafi Battalion, AQIM and Ansar al Sharia Tunisia, which is closely tied to AQIM, in 2012 and then again in 2013. 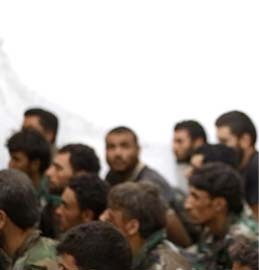 In December 2012, Tunisian officials said they had arrested 16 members of the battalion who had been active in Ansar al Sharia. Tunisia’s Interior Minister said the detained terrorists had been trained in a camp run by Algerians who are close to AQIM’s emir, Abdelmalek Droukdel. In July 2013, the Tunisian government tied the terrorists responsible for the assassinations of two prominent politicians to the battalion. At least one of those terrorists, a veteran jihadist named Boubaker el Hakim, has subsequently joined the Islamic State. 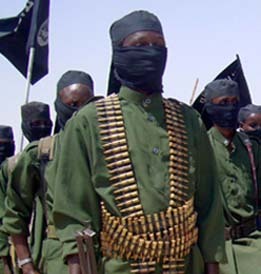 According to Agence France Presse, Tunisian officials claimed that the battalion is made up of “veterans of the Islamist rebellion in northern Mali with links to Al Qaeda in the Islamic Maghreb (AQIM),” including Algerians and Libyans, as well as Tunisians who belong to Ansar al Sharia. 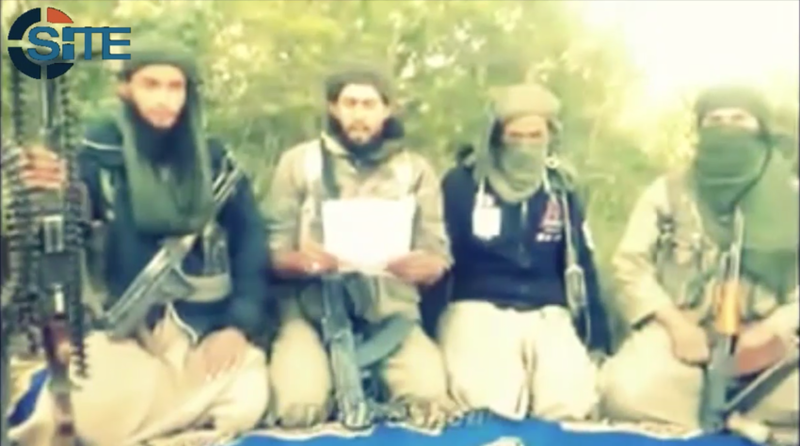 Tunisian officials have said that Ansar al Sharia Tunisia’s leader, Seifallah Ben Hassine, has sworn an oath of allegiance to AQIM head Droukdel and also works with Mokhtar Belmokhtar, a former AQIM commander who runs the al-Murabitoon Brigade. Belmokhtar remains loyal to al Qaeda emir Ayman al Zawahiri. The Uqba bin Nafi Battalion has used its propaganda arm, via Twitter and other social media channels, to highlight its attacks on Tunisian security forces and captured spoils. 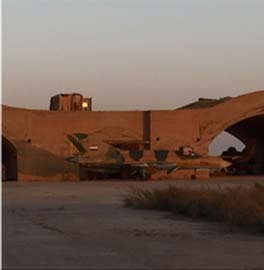 On Jan. 15, the battalion released a video showing four fighters. The lead fighter, identified as a Tunisian known as “Abu Bara’a al Tunisi,” said his message is from both the Uqba bin Nafi Battalion and AQIM. He congratulated Muslims on the Charlie Hebdo attack, which took place earlier in the month, and also praised Harith al Nadhari, the first al Qaeda in the Arabian Peninsula (AQAP) official to laud the Paris massacre. 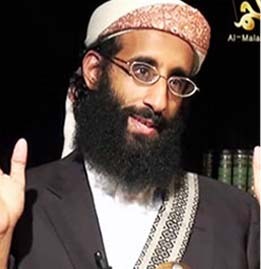 One of al Nadhari’s colleagues in AQAP subsequently claimed credit for the armed assault on behalf of al Qaeda. “May Allah give you glad tidings O our Sheikh Harith al-Nadhari, and may your bright face succeed,” Abu Bara’a al Tunisi said, according to SITE. Nadhari was killed in a US drone strike in southern Yemen on Jan. 31, just over two weeks after the Uqba bin Nafi Battalion prayed for his success. Abu Bara’a al Tunisi also threatened Tunisian Interior Minister Lotfi Ben Jeddou, saying he “has survived once,” but “will not survive many times.” The opening of the same video features pictures of al Qaeda leaders, including Osama bin Laden and Ayman al Zawahiri. Could you please provide the statements where it is made clear that the group is affiliated with AQIM? In the past months the Tunisian intelligence services have sustained that the Uqba Ibn Nafaa Brigade and Ansar Al Sharia in Tunisia have ties with ISIS.